I don’t have a lot of time to play video games anymore. I’m giving that as an excuse for the fact that it has taken me so long to complete the game (it sat in its plastic wrap for months before I broke it out). Please do not let it deter you from picking it up and completing it if you have no already done so. 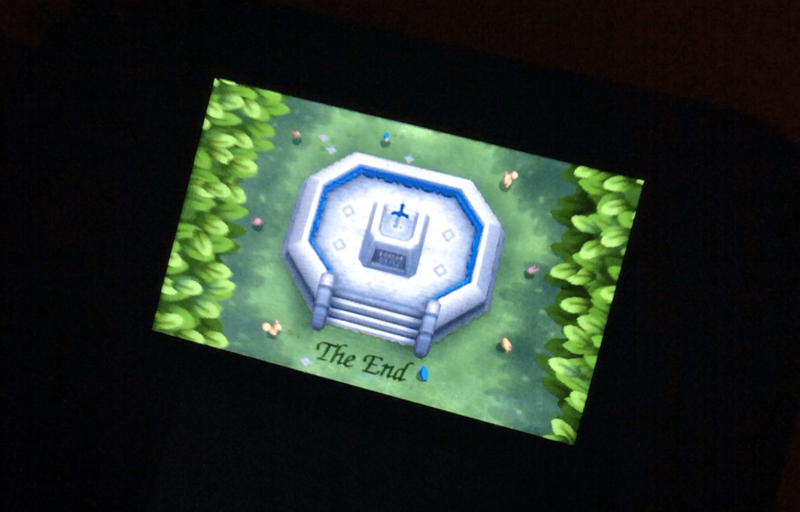 Quite simple, A Link Between Worlds is a joy to play and harkens back to a much simpler time for both video games and the entire Zelda series. It’s hard to describe how fun the game was the play, but I’ll do my best. Also, you can listen to the second part of This One Podcast Episode 103 where Phil and I talk about A Link Between Worlds in a larger context. I will also try to keep spoilers to a minimum and focus more on the overall gameplay and game since that is the important part. The first thing anyone who has ever played The Legend of Zelda: A Link to the Past will notice is how comfortable this game is. It is immediately familiar, but not dull or boring as it would have been had it been a remake of the original. It is set in the same world, but it is still a new game. I would liken it more to the difference between Ocarina of Time and Majora’s Mask. They are obviously tied together, but they are entirely separate games. In the TOP episode I linked to above, Phil and I discuss our own personal preference for simpler games (which is a terrible way to describe them). For me it boils down to needing to make fewer decisions at a given time. When you only have four buttons and two dimensions … your mind can focus on and enjoy other things. 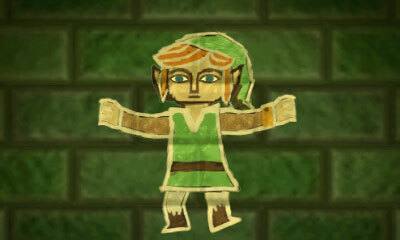 The game flows much like A Link to the Past and that is to its benefit. There are no obscenely long tutorials here, just encouragement to get going and start saving the world. The cut scenes are sparse and tasteful which means there are few minutes-long forays into story telling. I think I counted three in total. There are obviously times when you will need to be careful and take steps to make sure every swing of your sword is going to count … but when you only have a single button dedicated to the sword it enables button-mashing to come back into full effect. It is haphazard in any way, but it is the viable defense and offense. It is a simple way to clear yourself of obstacles … and it is enabled because the game designers were limited in what they could do with a single button and two dimensions. This speeds things up considerably. Need to get from A to B and enemies are in the way … start swinging and don’t let up until they are gone. It allows the game to flow from place to place quickly. This is a short review, but I do want to comment on the music. Obviously A Link to the Past has many iconic tunes that are still with us and the soundtrack for A Link Between Worlds is not going to reach that stage. It is not because it shouldn’t, but because it is more derivative than A Link to the Past. Because it is a direct sequel, the music is instantly familiar. However, the arrangements done are excellent and of an extremely high caliper. Especially near the end of the game, we get to see them pull out the stops and fit the music to the mood extremely well. Just a splendid melding of tone. There isn’t much more to say besides the fact that I still smile every time I hear any arrangement of the Overworld theme. This game is good, excellent, and well worth any amount of time or effort you can put into it. It not only puts aside any fear I had about Nintendo coming into it, but it also emphatically states that there is a lot of life left in 2D games. A Link Between Worlds definitely calls back to a time when games needed to be simpler because they had less to work with, and I think that is a good thing. Tacking on decisions and extra fluff just because you can is a poor reason to do so. Purchase a 2DS or 3DS and play this game TODAY! GREAT GAME, i need to get back around to finishing it!! Yes you do. I haven’t had that much fun playing a game for a while.